In the latest server update, we released a new feature, called Access Tokens, which allows controlling the access to our Thinger.io resources from the REST API. It is quite similar to the Identity and Access Management (IAM) from Amazon Web Services, in the way you can specify what kind of resource and what action you want to grant access. This feature, opens the platform to a new different level of integration. In this case, we are delighted to expose a new use case: integrating Sigfox Devices. Sigfox devices by nature are not directly connected to the platform, as any other device like an Arduino or a Raspberry. Instead, the devices are allowed to send up to 140 uplink messages a day, each of which can carry a payload of 12 Bytes (Excluding message header and transmission information) and up to 4 downlink messages per day, each of which can carry a payload of 8 Bytes. For this task, Sigfox employs a proprietary technology that enables communication using the Industrial, Scientific and Medical ISM radio band which uses 868MHz in Europe and 902MHz in the US. It utilizes a wide-reaching signal that passes freely through solid objects, called “ultra narrowband” and requires little energy, being termed “Low-power Wide-area network (LPWAN)”. 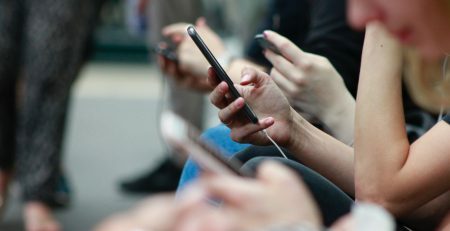 The messages received by the Sigfox platform, can be retransmitted to other platforms by something they call callbacks. A callback basically consists on defining a HTTP endpoint, that will be called when the platform receives a new message. This way, we can configure the sigfox back-end to retransmit the data to our Thinger.io account. The information can be stored easily in the data buckets, and here is where we can use the access token feature. We can issue an access token that grants write access to external applications over an specific data bucket on our own. This way, using this token, the sigfox callback will be able to insert data on our bucket. 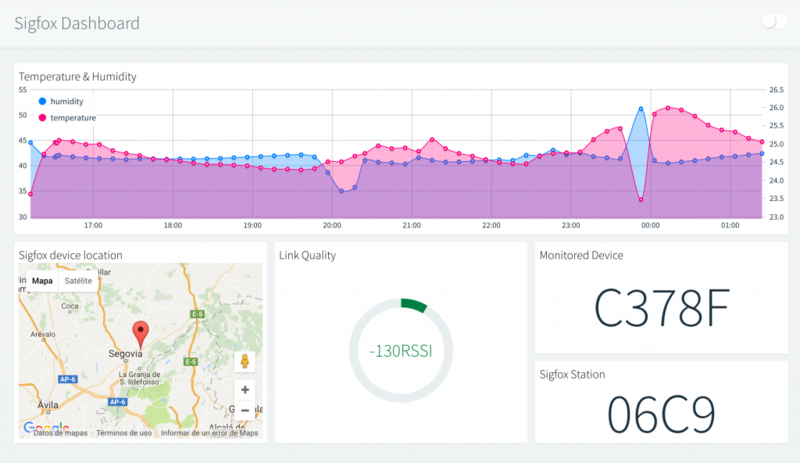 All this process is documented in this page, so take a look on it if you want to create real-time dashboards for your sigfox devices! Here you haven screenshot of a dashboard that is monitoring temperature and humidity from the SmartEverything device.